What happens next? 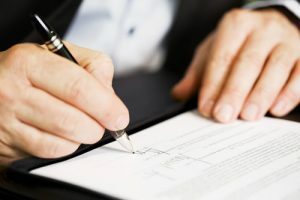 So you have signed a contract to sell your property or purchase a new property… but what are the next steps to settlement? You can download our printable guidelines on the steps to settlement for vendors and purchasers. Selling- What happens next? Buying- What happens next? Contract to settlement as a vendor – What happens next? The property – Ensure the property is kept in good, clean and tidy condition until settlement. Make enquiries with removalists, if you are planning to use one. Contact your conveyancer to discuss their services – Your conveyancer will go through the process with you and answer any questions that you have. Ensure that you let the real estate agent know who will be acting on your behalf, if you have not already done so. Discharge of mortgage – If you have a mortgage registered on the property, your conveyancer will organise for you to sign a discharge authority so that the lender can arrange to have clear title handed over at settlement. Your conveyancer will liaise directly with your lender to ensure that this stays on track for the settlement date. Preparing for settlement – Your conveyancer will obtain all the documents from the real estate agent and will start preparing for settlement. This will involve such matters as investigating the title to the property and conducting any relevant government searches, preparing legal documentation and liaising with all parties. Face to face meeting with your conveyancer – Your conveyancer will arrange a time to meet with you to conduct a verification of identity – new legislation now requires conveyancers to verify the identity of each person entering into a real property transaction. You will be required to provide a passport, drivers licence and marriage certificate, if your name differs on any ID. If you do not have a passport you will need to provide a birth certificate, drivers licence, Medicare card and marriage certificate. At this meeting you will also need to sign various conveyancing documents which your conveyancer will explain to you. Payment authority – Your conveyancer will need to know where you would like the proceeds of sale to be deposited. Please ensure you take your bank account details to the face to face meeting with your conveyancer. Settlement statement – Closer to your settlement date, your conveyancer will provide you with a settlement statement that will include a breakdown of all the financial figures, including any mortgage payout amounts. If there are outstanding rates and taxes your conveyancer will arrange to pay these at settlement. The purchaser will reimburse you from the date of settlement until the end of the financial year. If you have any queries about the statement, you should check with your conveyancer. Organise to disconnect utilities – Whilst your conveyancer takes care of many of the changes in ownership through various government bodies, it is the vendor’s responsibility to ensure their electricity is disconnected on the day prior to settlement. Settlement day – Ensure that you are completely moved out from the property and that it is left clean and tidy by 11am. Settlement takes place between 11.30am and 1.30pm and your conveyancer will phone you immediately to advise that it has been finalised. Please ensure you have made arrangements with the real estate agent to hand over the keys to the property. After settlement – Your conveyancer will advise all relevant parties of the change of ownership and will provide you with a final letter and statement confirming that settlement has taken place. Once settlement has taken place, you can arrange to cancel any insurance policy that covers the property. Contract to settlement as a purchaser – What happens next? Organise Insurance – From the time the contract is signed by the parties the risk of the property passes to the purchaser and therefore you must take out building insurance to protect your new investment. Contact your conveyancer to discuss their services – Your conveyancer will go through the process with you and answer any questions that you have. Ensure that you let the real estate agent know who will be acting on your behalf. Deposit – At the expiration of the cooling off period, make arrangements to pay the deposit into the real estate agent’s trust account. The agent should give you details on how to do this. If your bank has a daily limit on transfers, you may need to contact them to increase this or arrange for payment over several days. Finance – If you are taking out a loan to finance the purchase, your conveyancer will liaise directly with your broker and/or lender to ensure that this stays on track for the settlement date. Once the finance has been approved, loan documents will be issued, which will need to be signed and sent back to the lender as soon as possible. It is imperative that this takes place in a timely fashion as processing times can vary between lenders. Face to face meeting with your conveyancer – Your conveyancer will arrange a time to meet with you to conduct a verification of identity- new legislation now requires conveyancers to verify the identity of each person entering into a real property transaction. You will be required to provide a passport, drivers licence and marriage certificate, if your name differs on any ID. If you do not have a passport you will need to provide a birth certificate, drivers licence, Medicare card and marriage certificate. At this meeting you will also need to sign various conveyancing documents which your conveyancer will explain to you. Settlement statement – Closer to your settlement date, your conveyancer will provide you with a settlement statement that will include a breakdown of all the financial figures. The vendor’s conveyancer will provide your conveyancer with an adjustment statement which will show the amounts owing to the vendor for rates and taxes until the end of the financial year. This statement will also include the stamp duty and government registration fees that are payable. Your conveyancer will attend to stamp duty at settlement, so you do not need to take any further steps to pay this. There may be other calculations and payments that need to be made, for example if you are taking out title insurance, and your conveyancer will take care of this process for you. If you are providing funds for the purchase, outside any loan, you may need to deposit these into the conveyancer’s trust account prior to settlement. Your conveyancer can advise you on this further at the time. Organise connection of utilities – Whilst your conveyancer takes care of many of the changes in ownership through various government bodies, it is the purchasers responsibility to ensure their electricity is connected on the day of settlement. Settlement day – Settlement takes place between 11.30am and 1.30pm and your conveyancer will phone you immediately to advise that it has been finalised. Please ensure you have made arrangements with the real estate agent to collect the keys to the property. After settlement – Your conveyancer will advise all relevant parties of the change of ownership and will provide you with a final letter and statement confirming that settlement has taken place. Please ensure you have arranged contents insurance for your new property. * The information contained in this fact sheet is intended as a guideline only as each individual transaction is different and requires certain procedures to take place. You should consider your own personal circumstances when reading this document and discuss the conveyancing process with your conveyancer directly.